A gleaming sterling silver finish lends subtle luxury to this polished bangle that showcases a subtle horseshoe embellishment. bring a glittering touch to your ensemble when you slip this bracelet onto your wrist. 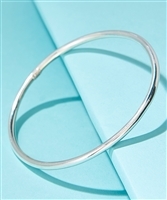 Whether worn on its own or stacked with other favorite pieces, this glistening sterling silver bangle offers chic shine to your look. 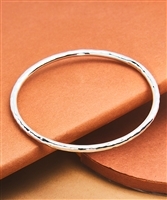 Whether worn on its own or stacked with other favorite pieces, this glistening sterling silver textured bangle offers chic shine to your look. 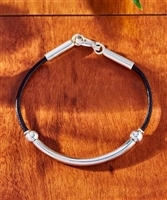 Sterling silver make this station bracelet a top pick for both dressy and casual ensembles. A touch of nature with this charm bracelet's dragonfly design that comes to life with the enduring gleam of sterling silver. A timeless allure of sterling silver make this station bracelet a top pick for both dressy and casual ensembles. 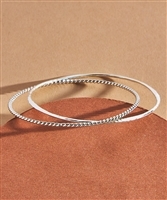 A timeless allure of sterling silver make this cuff a top pick for both dressy and casual ensembles. Whether worn on its own or stacked with other favorite pieces, this glistening entwined bangle offers chic shine to your look. Featuring a contrasting band and embellishment, this sterling silver cuff lends unique polish to your look, and a geometric etching adds dimension. Hammered texture cuff and gleaming sterling silver construction. 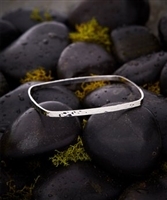 Free-spirited vibes with lyrical lines and lively gleam of this station bracelet crafted from alluring sterling silver. Sleek infinity signs form an elegant chain to complete this gleaming sterling silver bracelet, and a toggle closure ensures a secure fit. Sleek open circles form an elegant chain to complete this gleaming sterling silver bracelet, and a toggle closure ensures a secure fit. A sleek row of minimalist sphere embellishments lends subtle polish to this gleaming sterling silver cuff. A gleaming sterling silver finish lends subtle luxury to this polished bangle that showcases a subtle infinity sign embellishment. Secured by a supple leather cord, this sterling silver bracelet adds sleek polish to your ensemble with its minimalist profile. 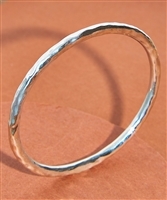 Whether worn on its own or stacked with other favorite pieces, this glistening hammered sterling silver bangle offers chic shine to your look. 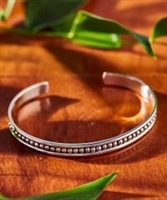 Slide on the style with this stackable dotted cuff crafted from shining sterling silver.